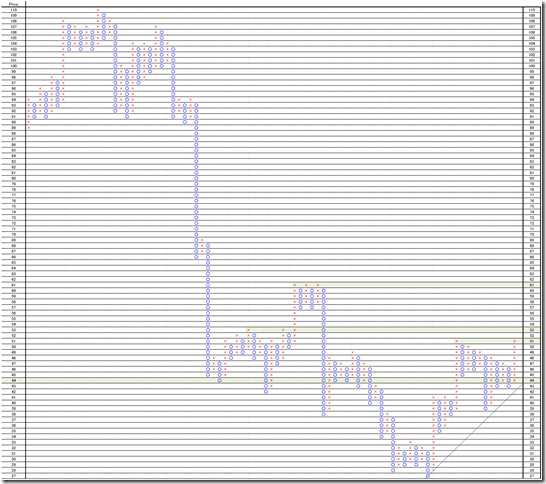 USDJPY hourly; Resistance is 105.50yen-106.00yen and support is 104.60yen; rally will be difficult. Our conclusion is range is narrowing. The latest rally is channeling. The most notable point is 5 pointed support will work or not. We need to watch the price will cut it or not in 6th time. The latest support is almost 104.60yen. We used hourly data and the Oceania time zone market price is pulled out. 106yen around is the resistance point in weekly chart (See 10/23/2016 report) and 105yen high is difficult to cut it. 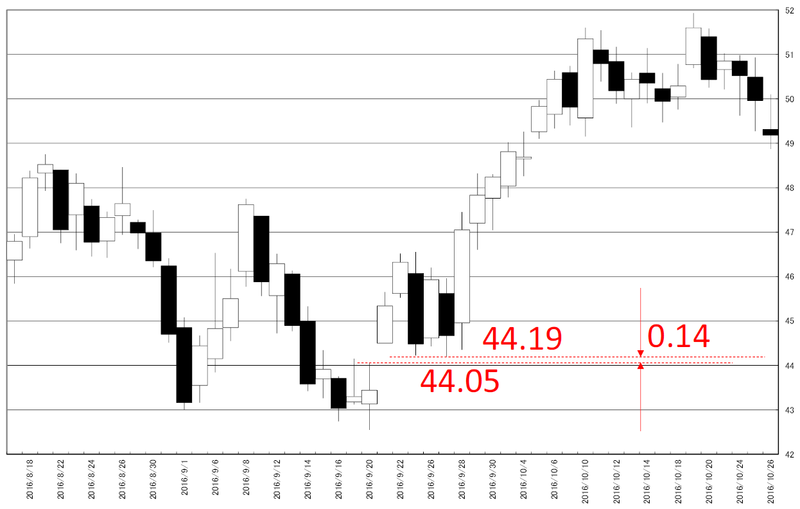 On the other hand, 45 degree supports are existing 104.00yen and 103.40yen and now is far from it. West Texas Intermediate (WTI) P&F; the price will challenge lower than 44 point before real rally. 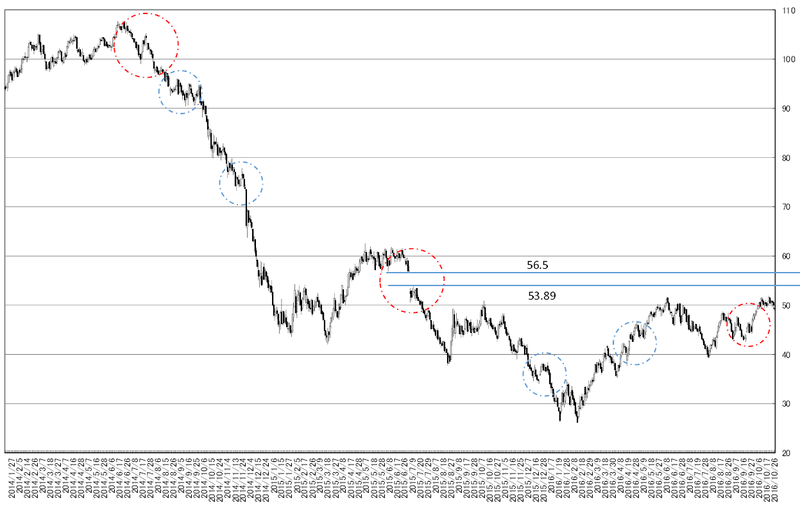 Today’s analyze is West Texas Intermediate (WTI). This is 700 business days chart and we write circles at gaped points. Blue circles are buried points and red circles are not. 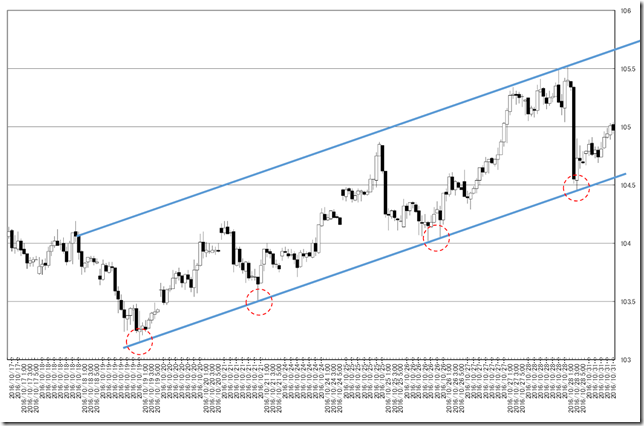 A major trend will come after buried and lower side gap will bury. On the other hand upper side gap seems to be strong resistance. The latest gap is from 53.89 point to 56.5 point. The latest price cannot reach it. This is Point and Figure chart written by daily data. 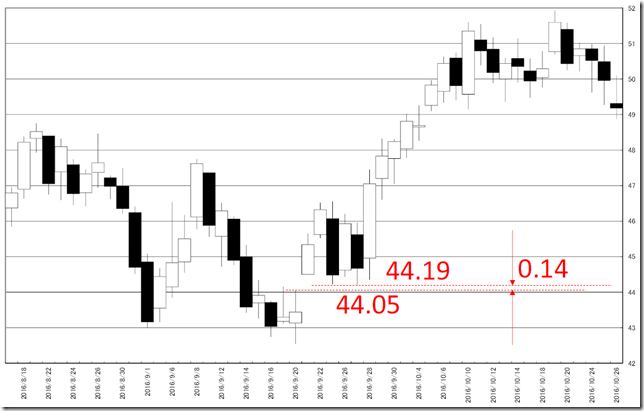 This is 1 point price change and 3 box reversal close price’s Point and Figure chart. 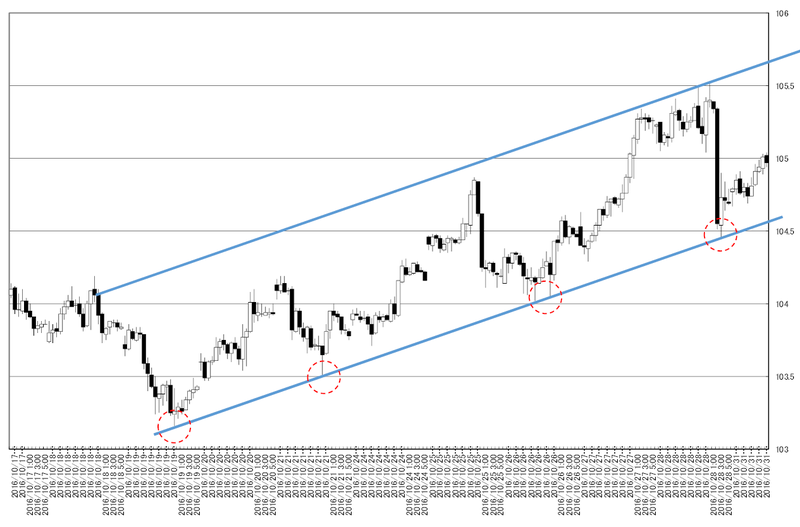 If the market price will fall, double top formation will complete. 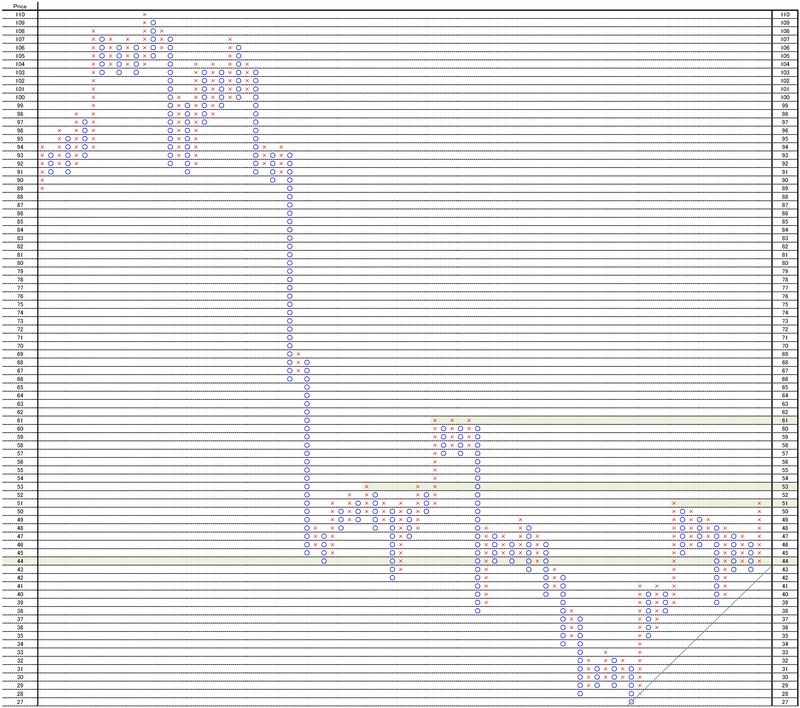 The upper side gap will work as strong resistance for some time.